Through ceaseless dedication and masterful skill, you have gained the highest rank of the knighthood. You stand as the strong right hand of your ruler. Your vigilant eyes observe the kingdom from within the Reginald Steel Helmet. 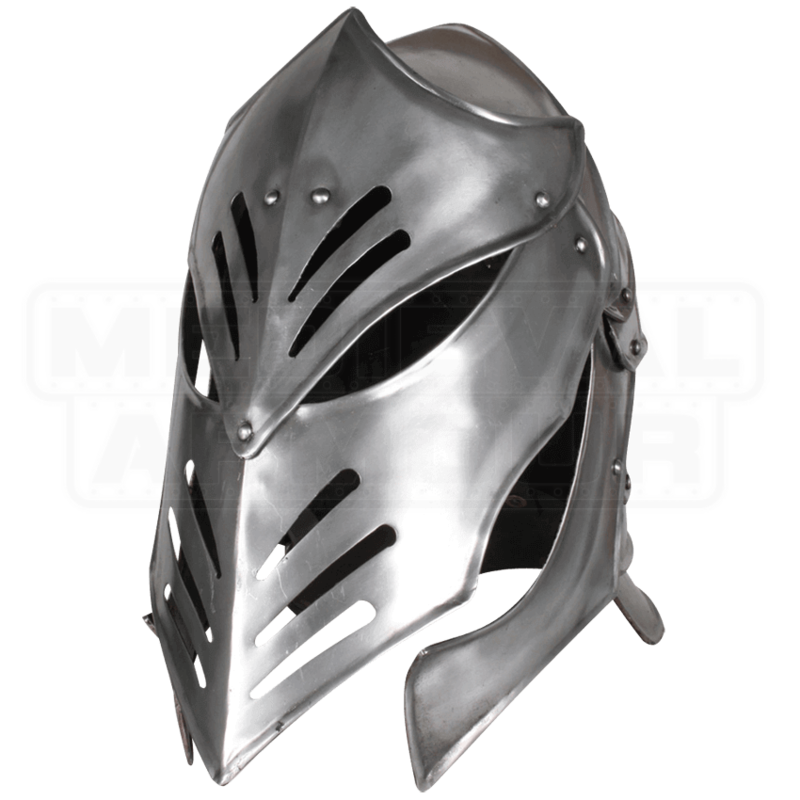 This fantasy themed bascinet is fashioned in a riveted multi-piece design. Let your eyes admire the elaborate features of this stylish helmet. A frontal view displays slanted eye slits and punch holes on the mask piece. From the side, notice the scaled layers and the pointed visor-line of the helmet. A wide bottom piece provides additional protection at the base. 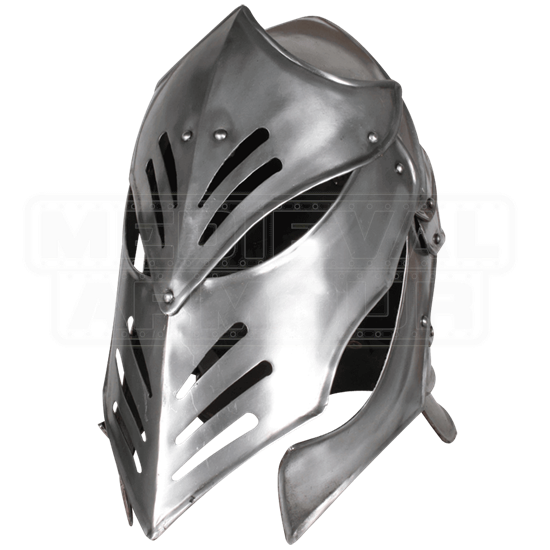 This helmet fits perfectly over padding and chainmail but does not include inner lining or a chin strap. This helmet is nearly perfect. The unique look is great and it is comfortable with a padded hood. The only negative is that the visor will not stay up when raised. If the visor stayed up it would be perfect.